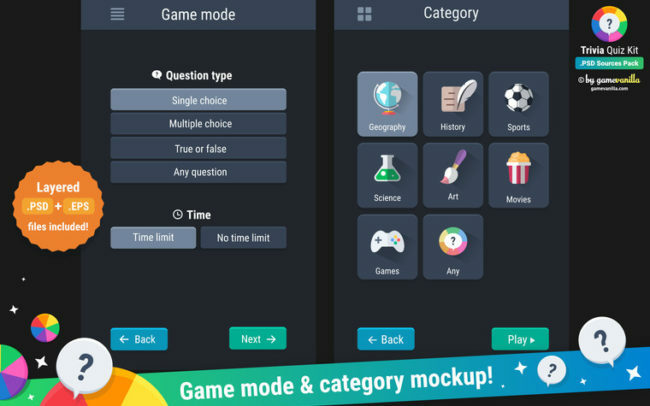 100+ high quality graphics used in the Trivia Quiz Kit asset (bonus buttons and icons included). Layered .PSD & layered vector .EPS mockups (home scene, game scenes and popups). 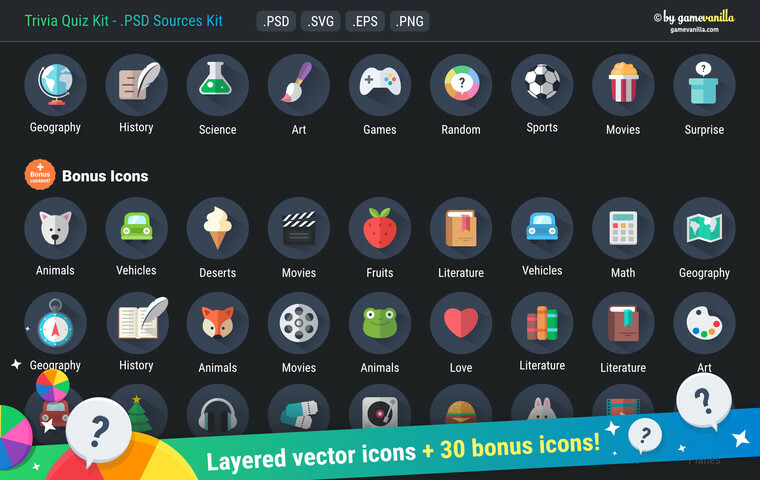 Layered .PSD, .PNG, .SVG, .EPS buttons & icons (All icons are provided as vector graphics, which are very useful if you want to customise or re-export them to have a bigger size). 30+ extra bonus icons included! 15+ extra bonus buttons in different colours included! 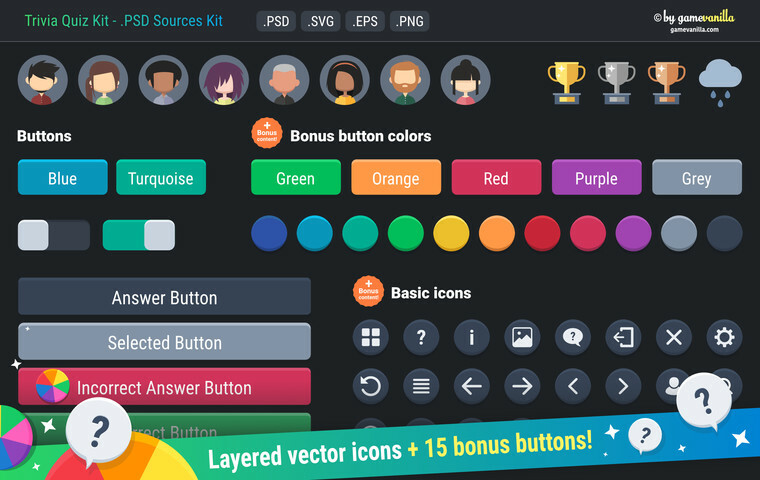 Lots of elements and iconsthat make the pack ready to be used in any kind of game. 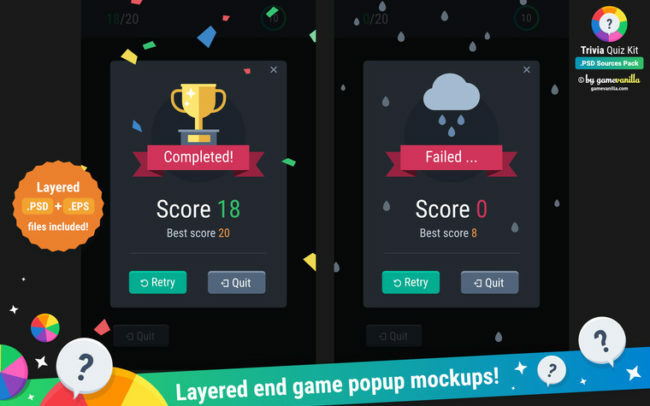 Please note that this package does not include the original Trivia Quiz Kit asset for Unity; only the source image files. The complete project for Unity needs to be purchased separately here. 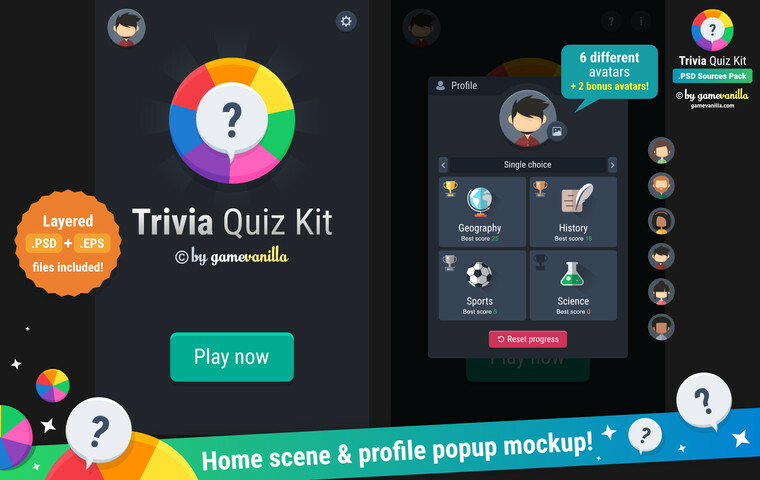 The copyright of the Trivia Quiz Kit .PSD Sources Pack and all of its contents (including both the art and the source code) belongs to gamevanilla ©. After purchasing the Trivia Quiz Kit .PSD Sources Pack, you have the right to use it only for the purposes of developing and publishing a final game. You are NOT allowed to redistribute or resale the Trivia Quiz Kit .PSD Sources Pack or any of its contents for any purpose (not even after a complete re-skin). To distribute or resale this product is NOT permitted under any circumstances and is strictly prohibited. 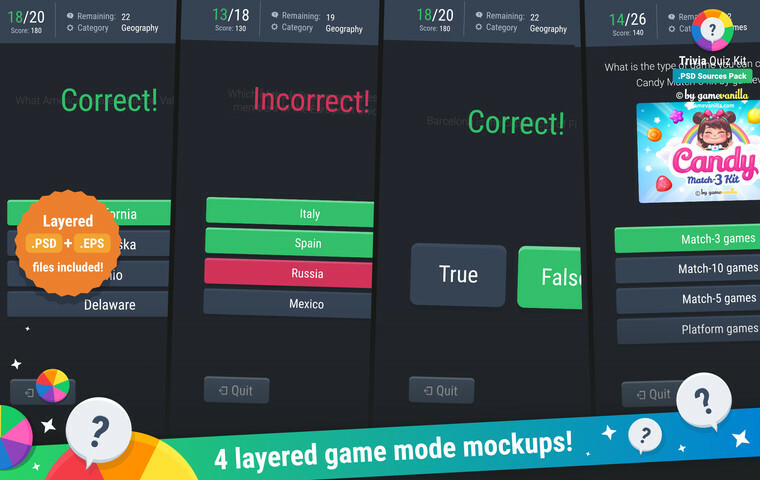 ✔ Availability to answer technical questions about how to use the pack via our support form. 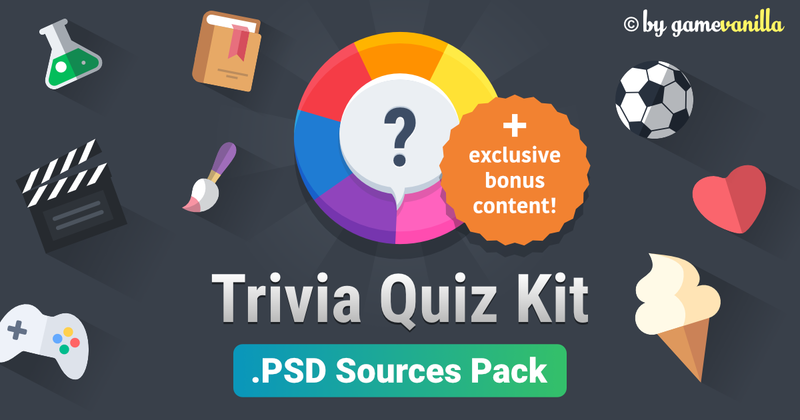 This pack contains the official .PSD (and vectorial) source files from our Trivia Quiz Kit asset with exclusive bonus contents.